Must be certified or eligible for SC certification in Art Education. Florence County School District Three, located in lower Florence County, is the second largest of the five school districts in the county. The district is at the midpoint between Columbia and Myrtle Beach, South Carolina - approximately 65 miles east of Columbia and 65 miles west of Myrtle Beach. 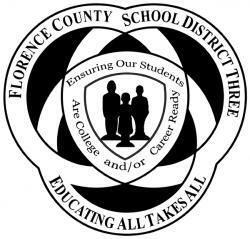 The Florence County School District Three System serves the communities of Lake City, Olanta, Scranton and Coward. The district is home to many well-known graduates, such as Challenger astronaut and physicist Dr. Ronald E. McNair, as well as many doctors, lawyers, educators, judges and business leaders. A 9-member Board of Trustees, elected from seven single-member districts, governs the school district.